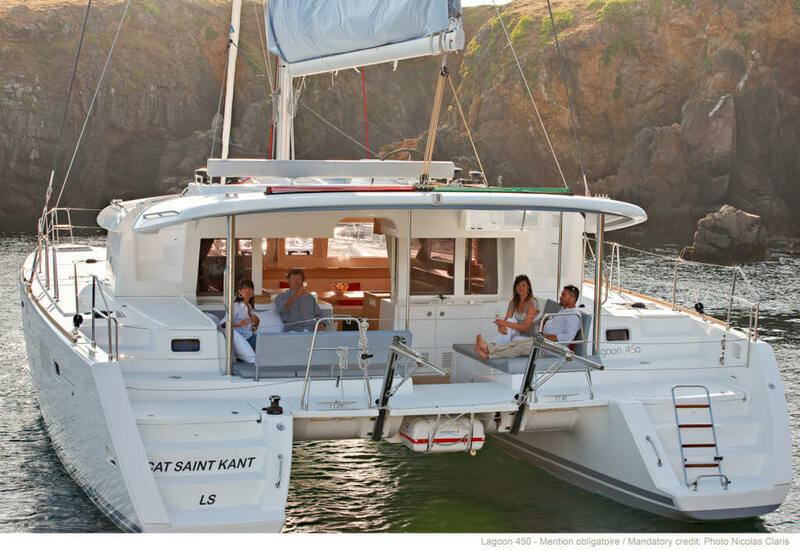 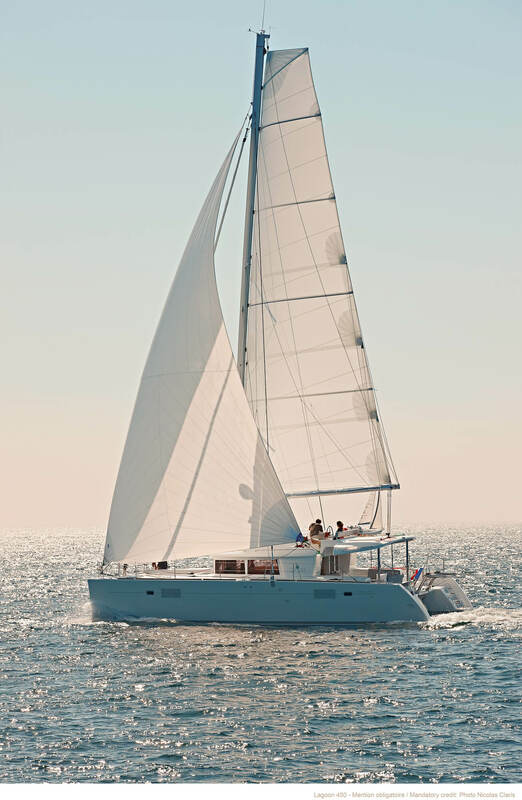 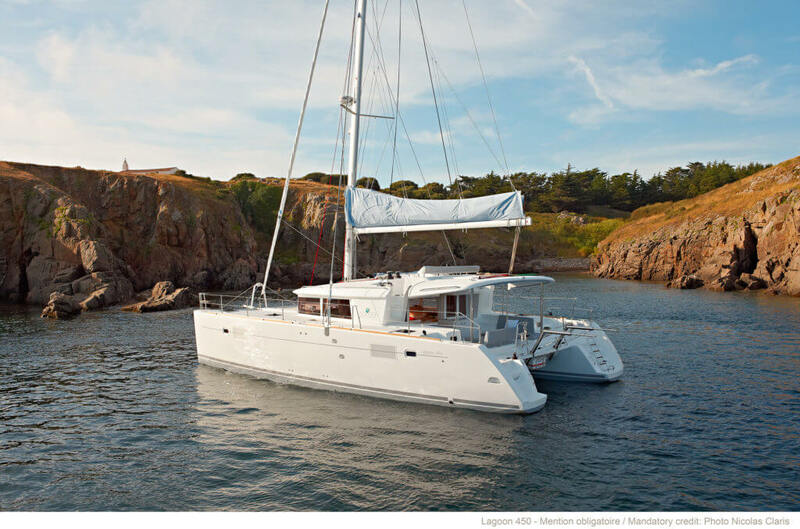 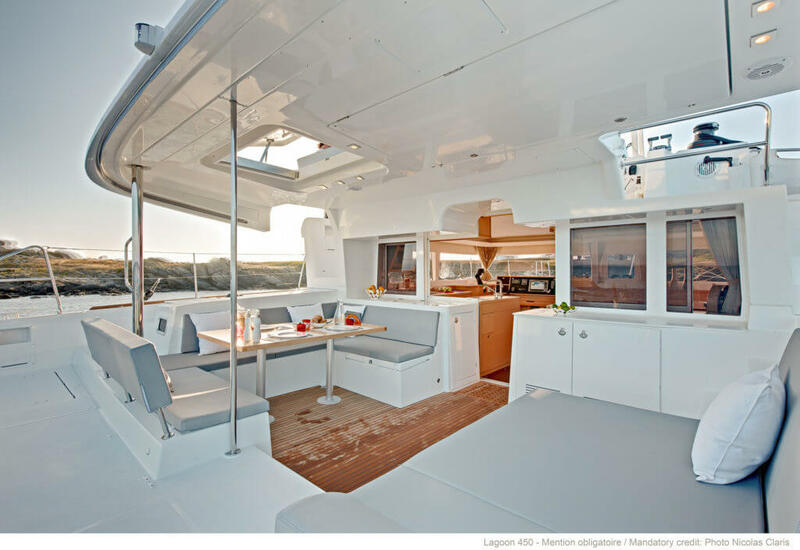 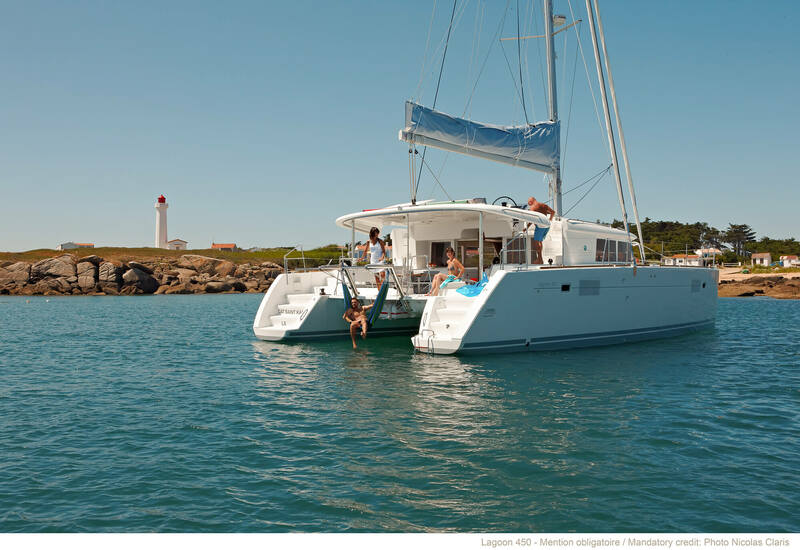 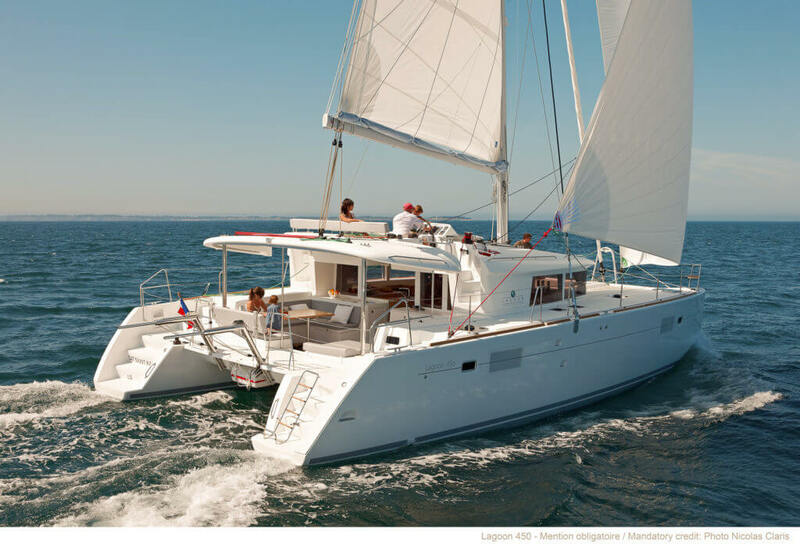 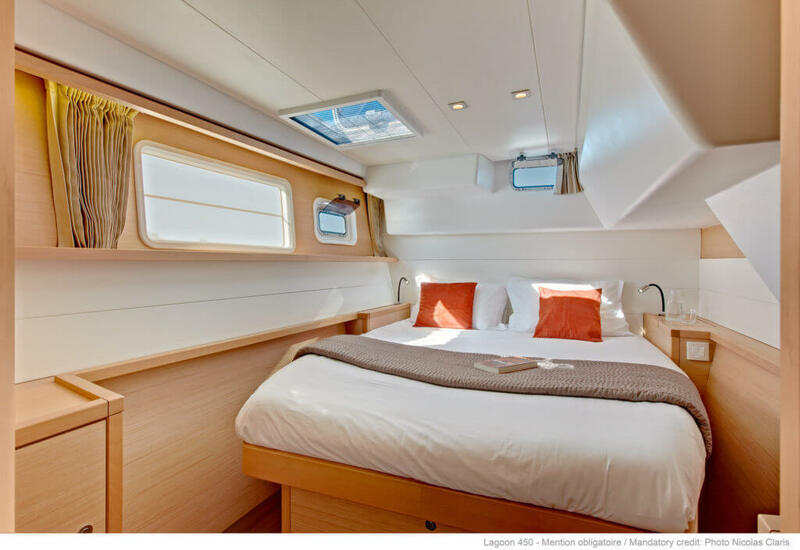 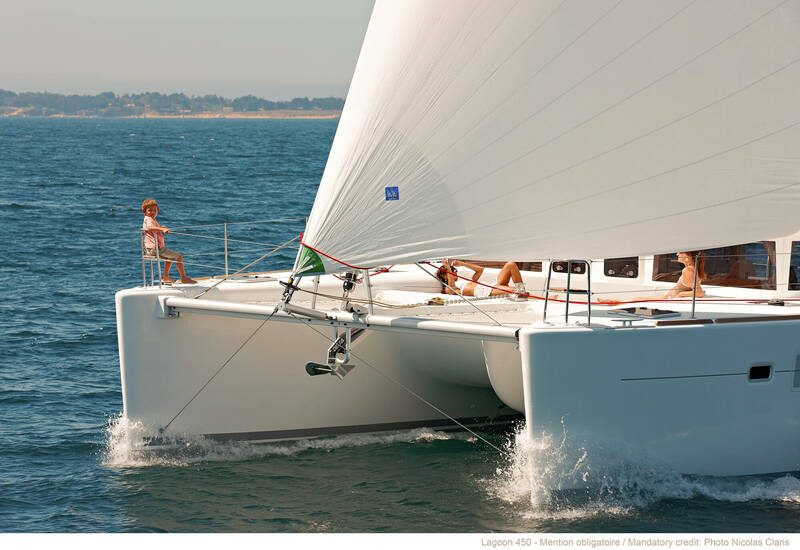 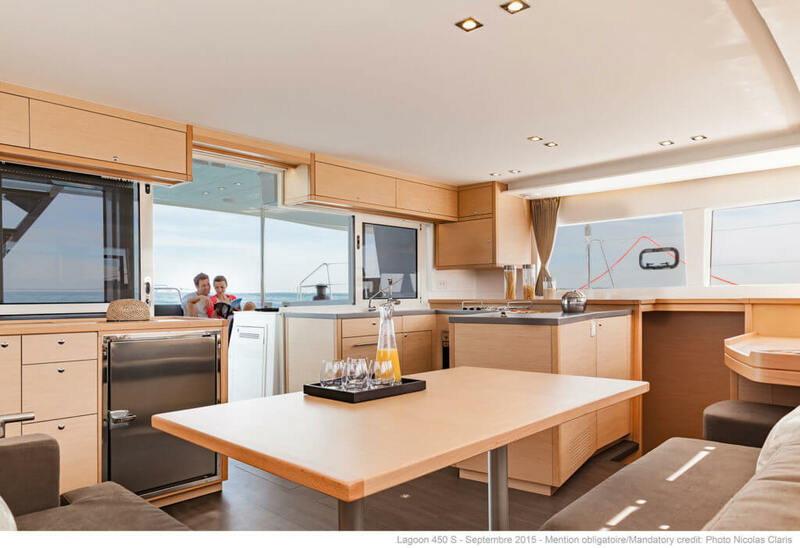 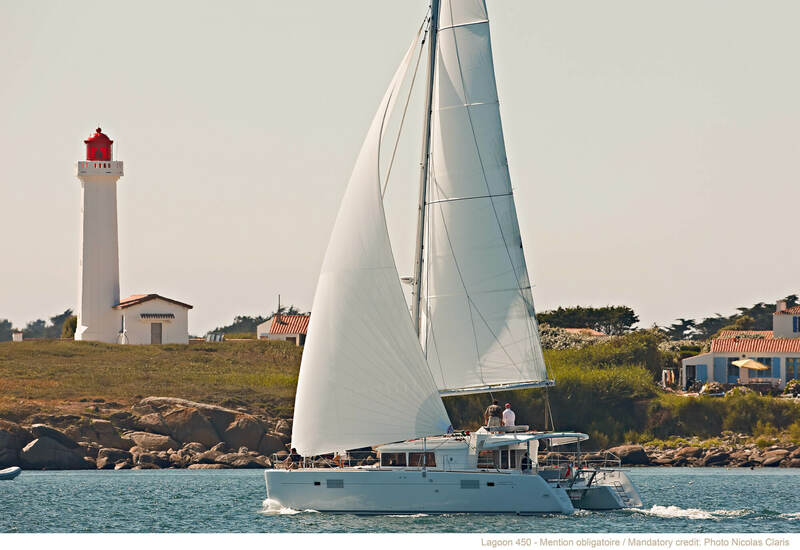 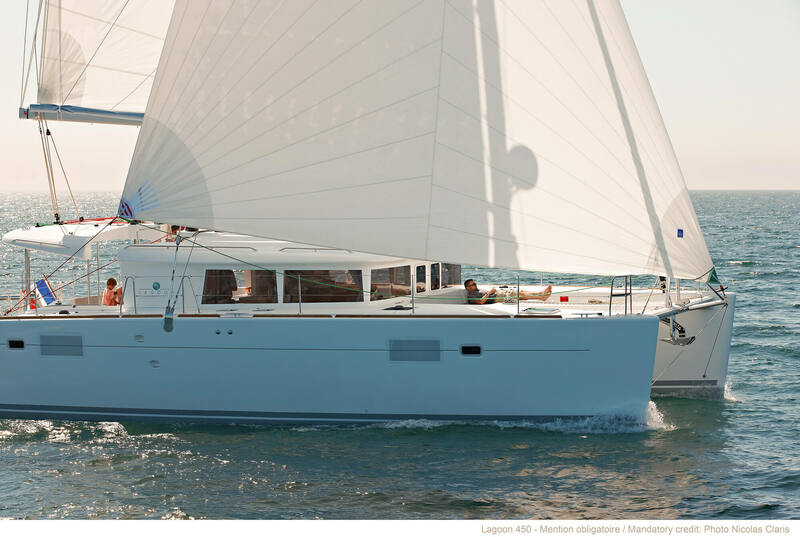 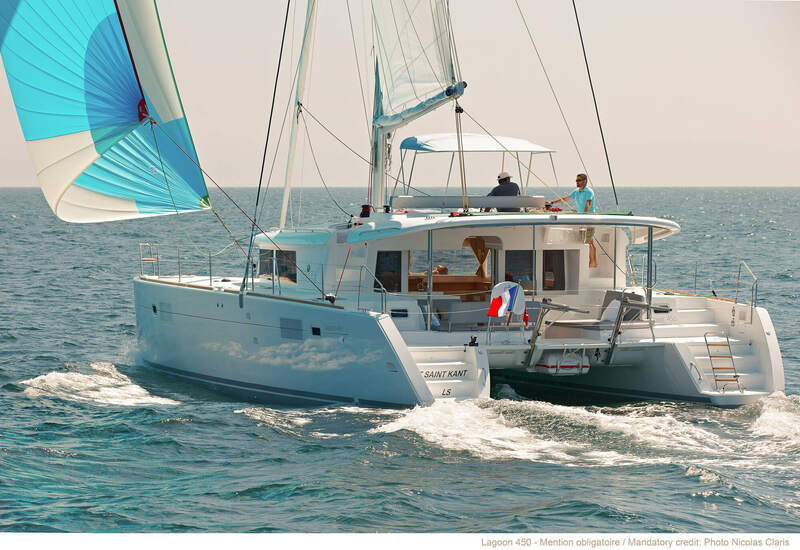 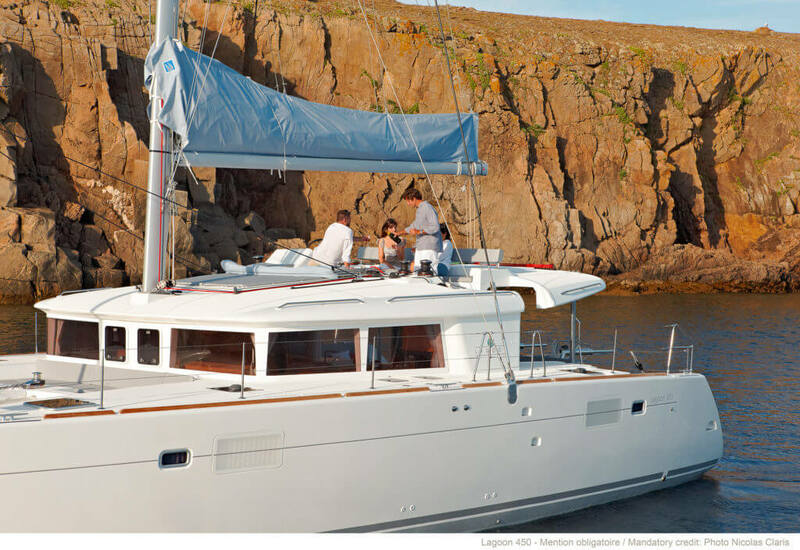 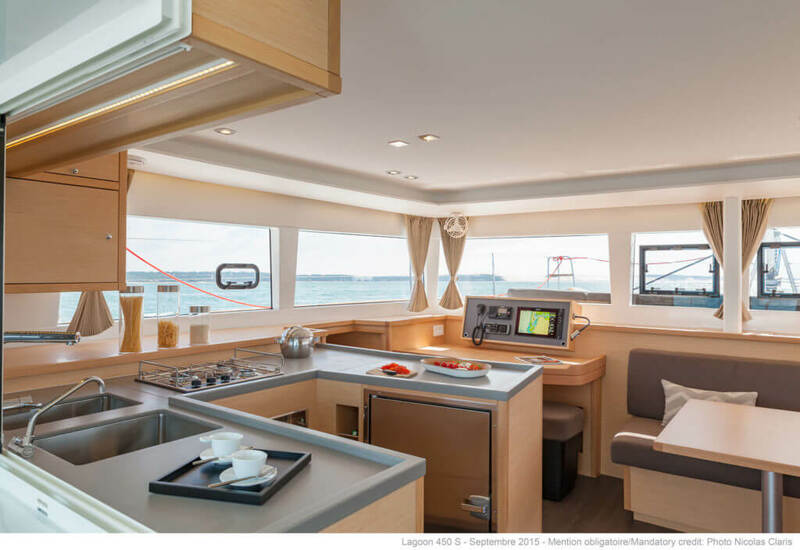 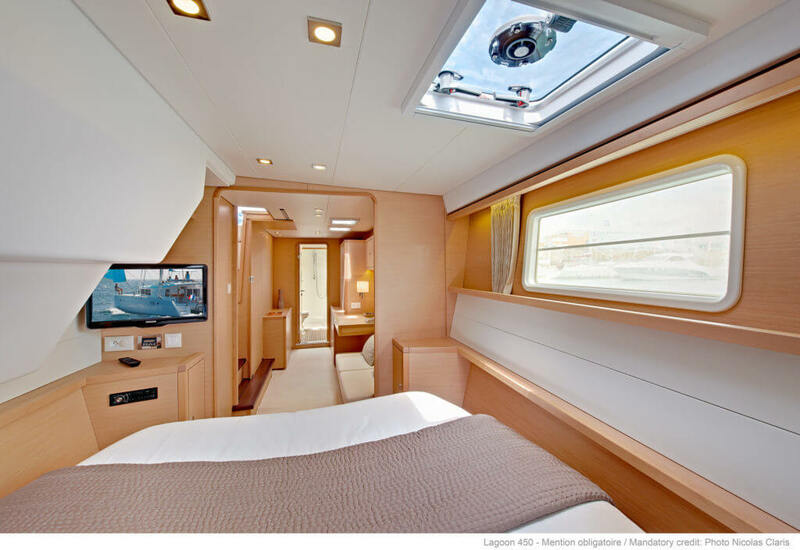 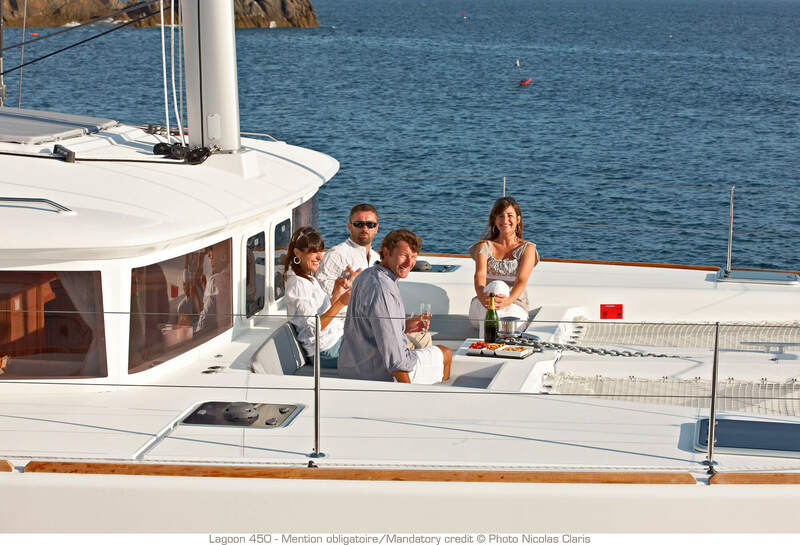 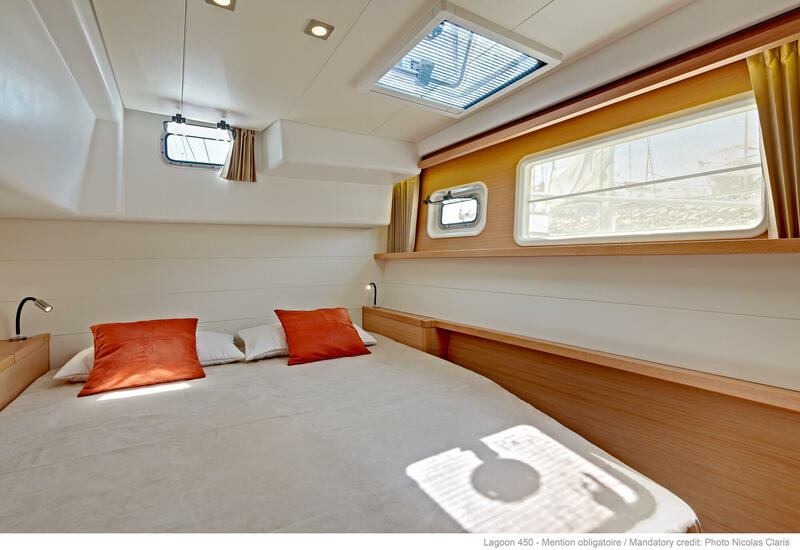 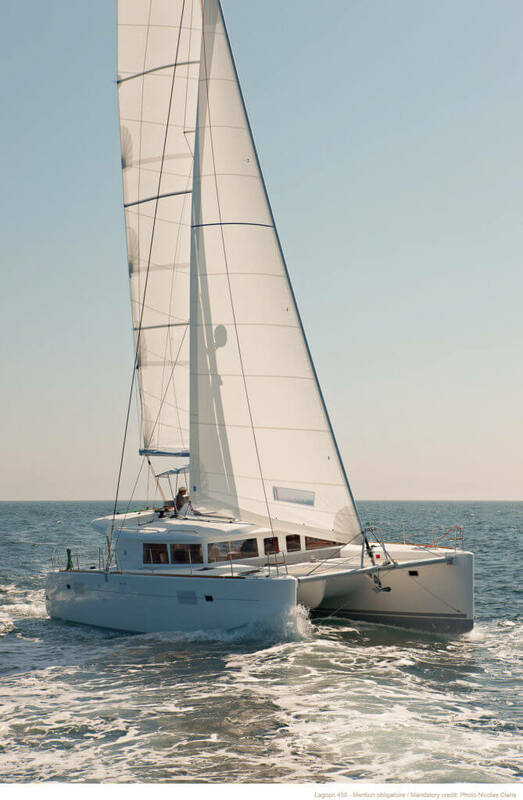 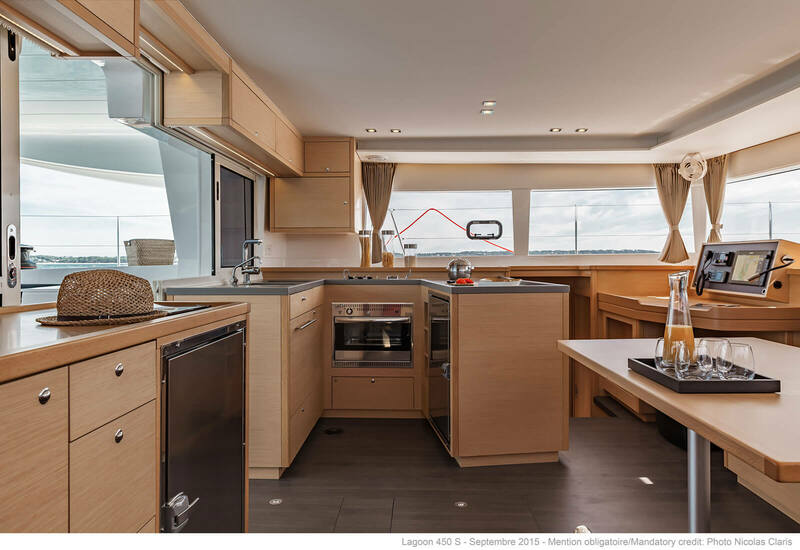 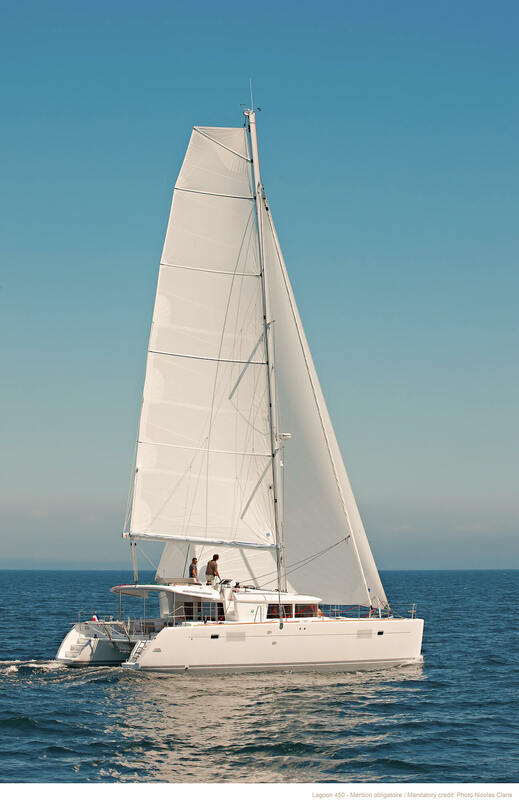 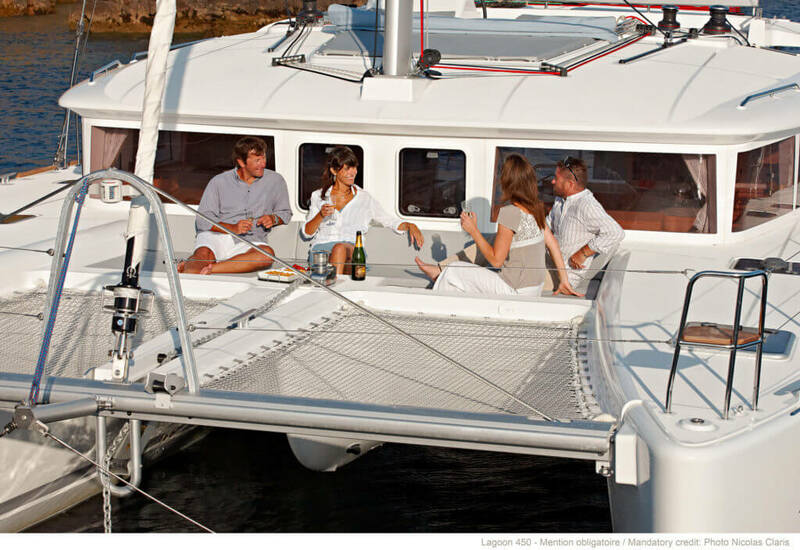 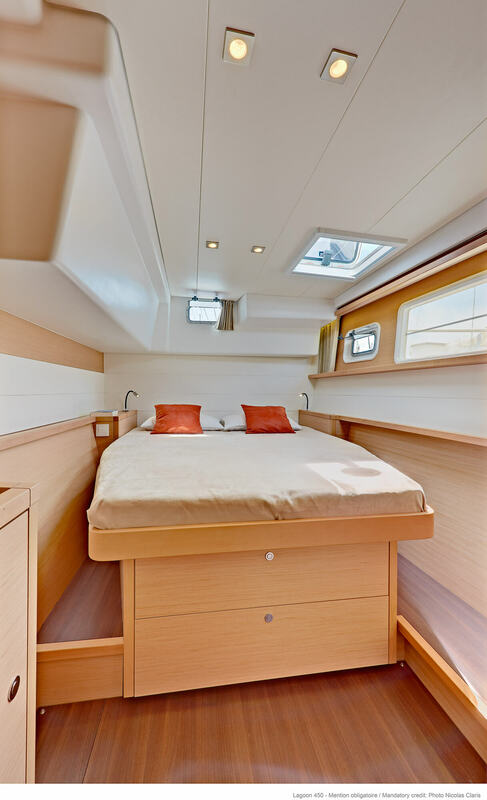 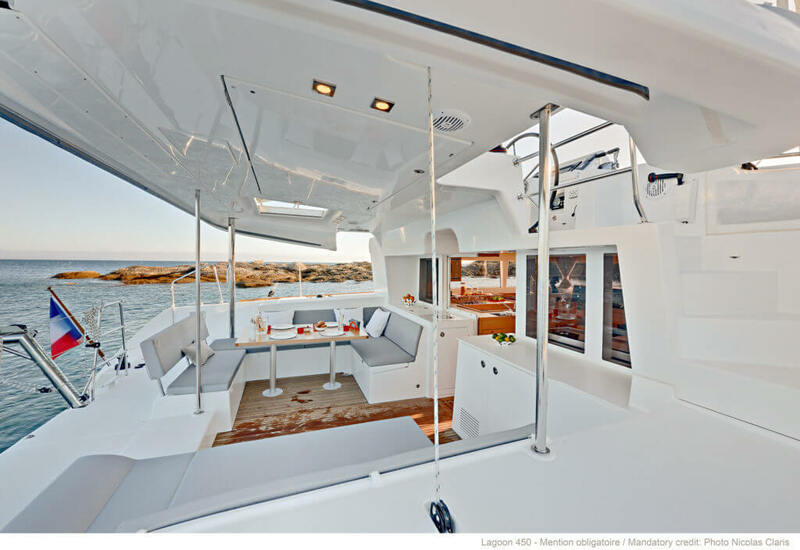 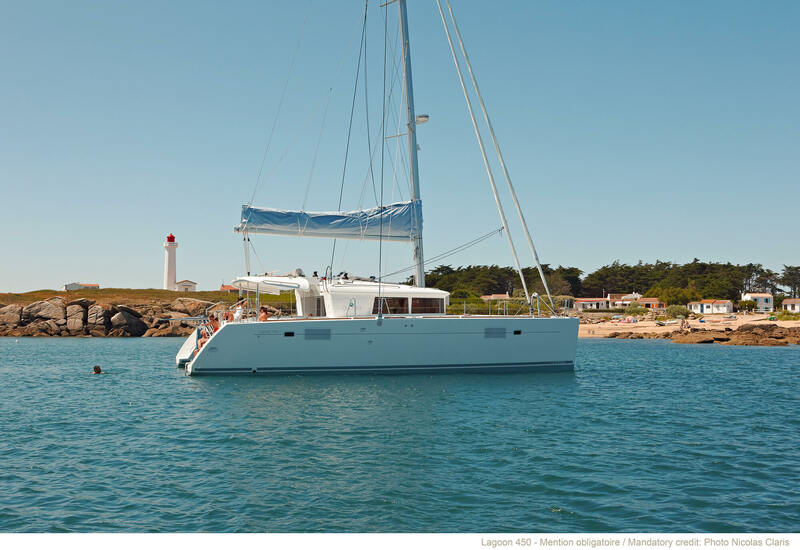 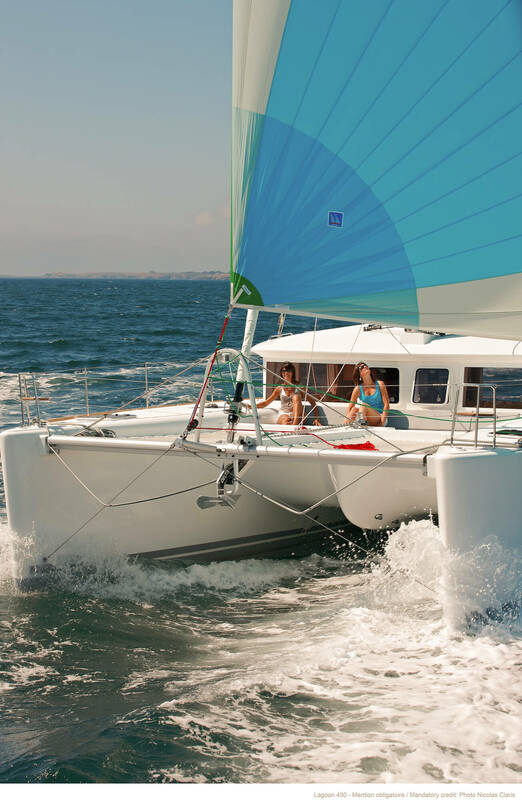 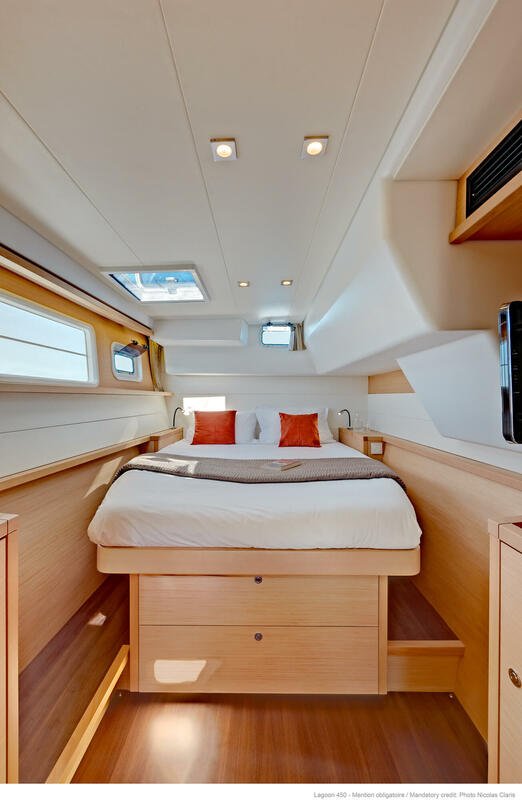 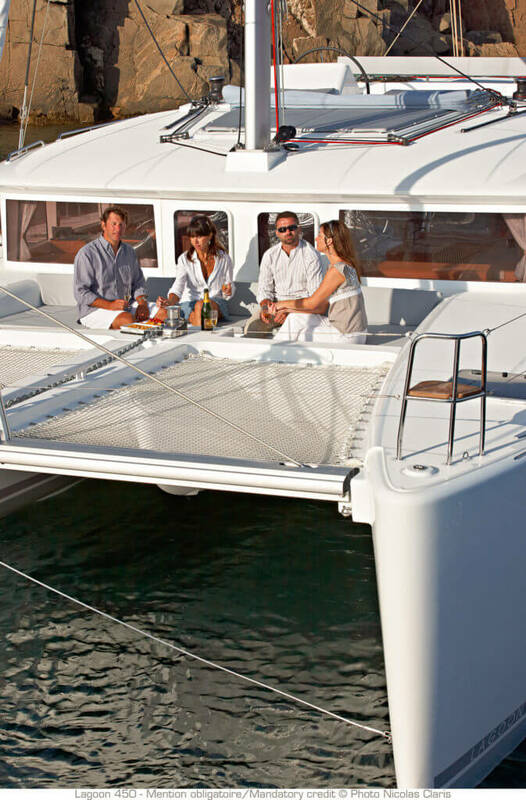 The VPLP architects, together with Lagoon and the Nauta Design office, succeeded beautifully in developing a new 45″ catamaran to replace the famous Lagoon 440 (more than 500 units sold). 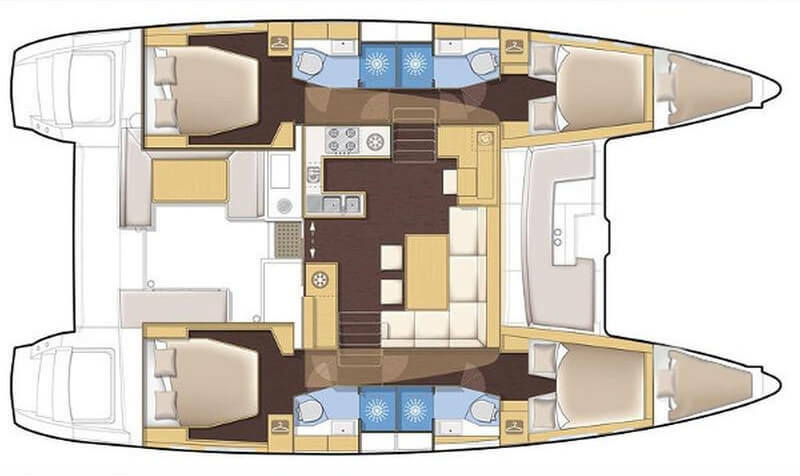 Of course, the irreplaceable qualities of the Lagoon 440 have been retained as a starting point: a steering station on the flybridge accessible from both sides of the cockpit, a forward cockpit, performance under sail … and an incomparable comfort in the saloon and the cabins. 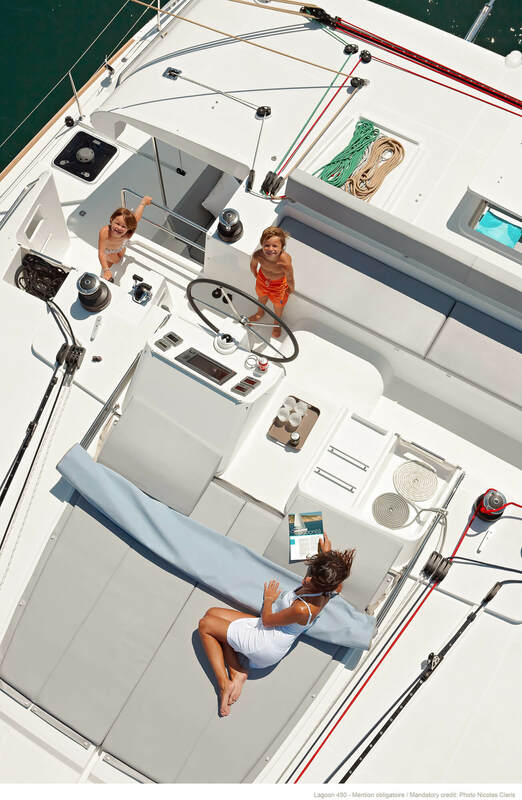 Larger and with a bigger sail area, the Shiva Lagoon 450 F is offered in 4 cabin versions, and also benefits from important improvements in terms of safety, performance and cruising comfort. 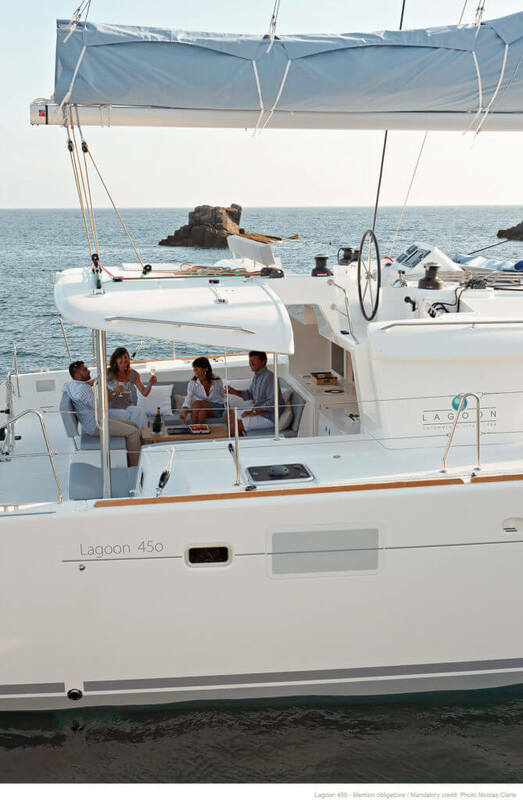 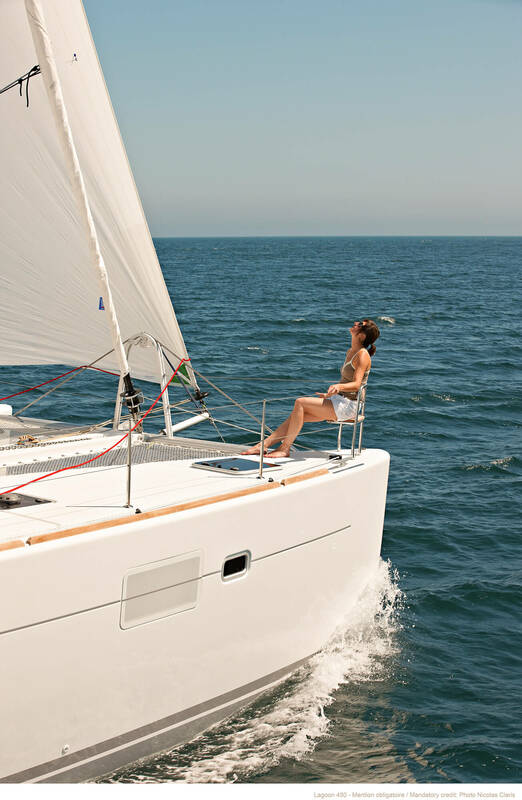 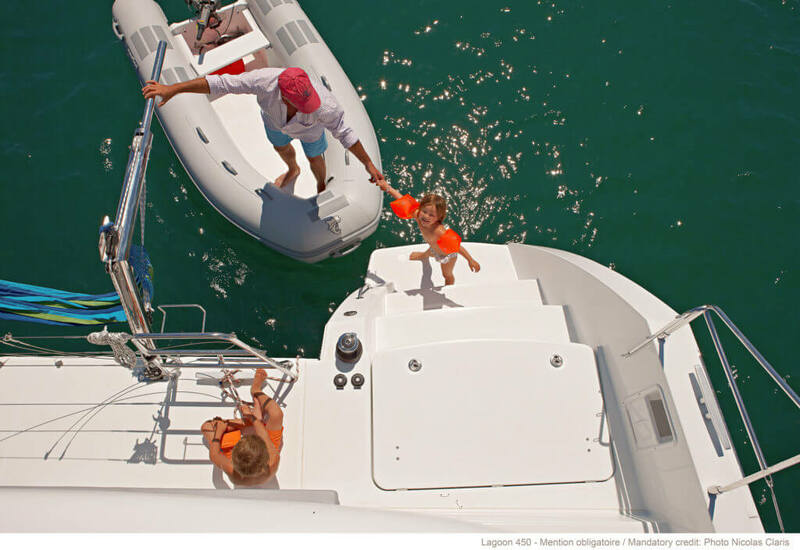 Lagoon 450 F is normally rented without Skipper as bareboat. 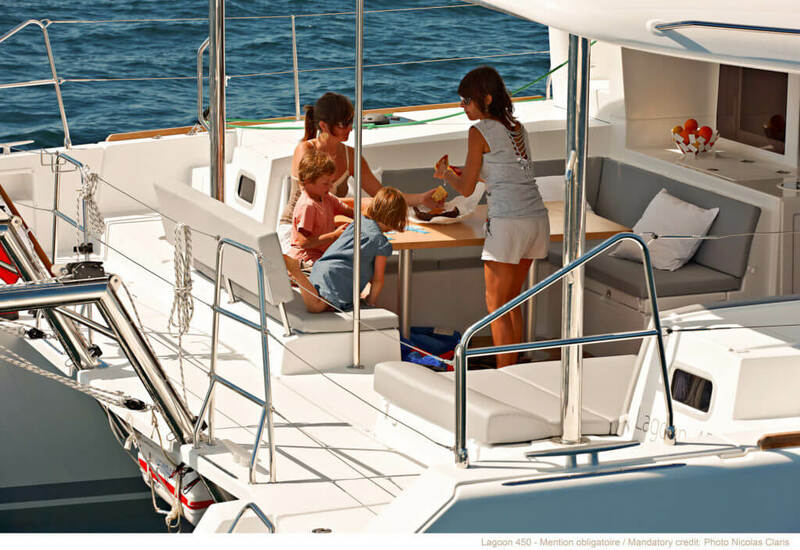 We provide as an option our local Croatian professional Skipper and Hostess on request.